Home / Bella Ibarra / casa ibarra / events place / food / Ibarra’s Garden / Mall of Asia Complex / news / Olivia d’Aboville / party venue / Pasay / Plaza Ibarra / Villa Ibarr / Casa Ibarra: The Newest Party Venue In Town! Casa Ibarra: The Newest Party Venue In Town! Garnering attention from aspiring celebrants and party planners due to its grandiose modernized Filipino theme with art deco architecture and lavish interior design, the Ibarra's recently opened their latest offering to public who loves to share their life's milestones in a truly heartwarming way, Casa Ibarra. Home to three of Ibarra's three majestic and grand event venues, Casa Ibarra impresses the continuously developing Mall of Asia Complex in Pasay City with its Ibarra’s Party Venues and Catering Services topped with lavish interior that will surely suit to any event. Tagged as Ibarra's fifth events venue, Casa Ibarra offers a sophisticated porte-cochere for drop-off. It's lobby is dominated by the 11 x 3.5m Homage to Monet artwork of French-Filipino artist Olivia d’Aboville. Specially commissioned for Casa Ibarra, this artwork is made of 365 meters of handwoven silk from Palawan and Aklan. It is the artist’s largest work to date, and evokes an air of lightness and romance. One of the highlight of the launching of Casa Ibarra is the presentation of its 600-square-meter grand ballroom, Sala de Amor. Located on the second level, this grand ballroom can accommodate as much as 350 guests and features six majestic capiz chandeliers and lighted onyx pillars. Each chandelier is made of over 20,000 capiz shells. On one side of the room is a grand stairway where steps light up one by one as the celebrant comes down to meet guests from a landing with two facing staircases. If a bride and groom ever wanted to make an "entrance," this is the way Casa Ibarra does it. For smaller events or parties, Casa Ibarra also offers two function rooms on the ground floor, the Alegria and Hermosa rooms. Each room can fit 140 persons or can be combined to become a larger room. 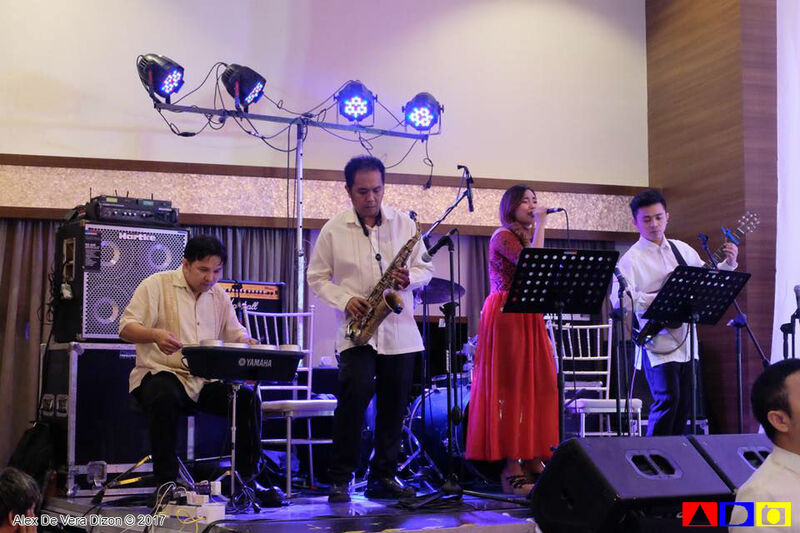 Ibarra’s has over 17 years of experience in the party venue and catering business, and during the launch of Casa Ibarra, their signature and sought-after dishes were served to all guests including a wide Filipino and international selection. Casa Ibarra carries Western, Mediterranean, Oriental, Spanish, and Filipino menu choices. Some of Ibarra's specialties were also shared to all guests such as the hickory pork spare ribs, braised beef shank and seafood paella. Ibarra’s also provides off-site catering services for parties and corporate events. Clients range all across the metro and provinces, and yes, even international clients searching for great food and service. To date, Ibarra's portfolio includes Ibarra’s Garden in Manila - a classic home from the 1920’s, with a garden inspired by American Art Deco architecture; Plaza Ibarra along Timog Avenue, Quezon City - a Mediterranean-themed garden with elegant ballrooms and lighted grand staircase; Bella Ibarra, also in Quezon Avenue - which was built around a timeless and elegant theme and is suited for both small and large gatherings; and lastly, the Villa Ibarra in Tagaytay - a small hotel offering stunning views of Taal Lake. It has often been booked primarily for weddings. A typical Ibarra’s package starts at about Php133,000 all-in. This already includes numerous amenities but can still be customized depending on the client’s preferences. Casa Ibarra is located at Lot 17 Coral Way, CBPI, Mall of Asia Complex, Pasay City. To know more about Casa Ibarra, you can visit their website http://www.ibarraspartyvenues.com.ph/ or you can follow them on Facebook.